57 Ocean Miami Beach Condominium | Pre-construction 57 Ocean Miami Beach condos for sale. 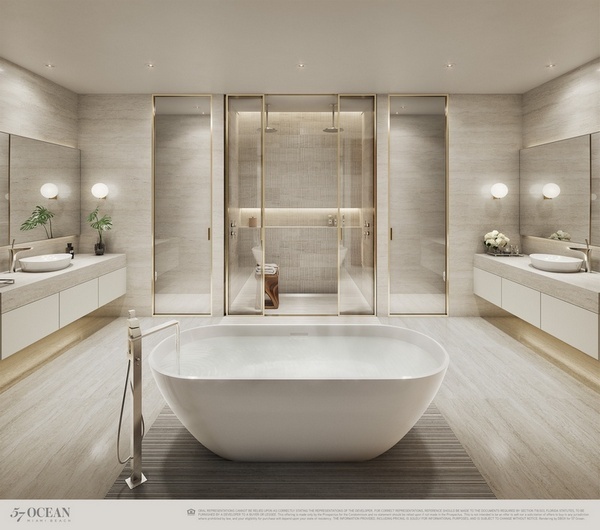 57 Ocean Miami Beach Condominium - Preconstruction sales began end of October 2018 for the NEW 57 Ocean Miami Condominium in Miami Beach. Lot clearing on the large 1.5-acre beachfront location at 5775 Collins Ave. began in October 2018 with ground breaking scheduled for March 2019. Completion and opening is scheduled for late summer of 2021. 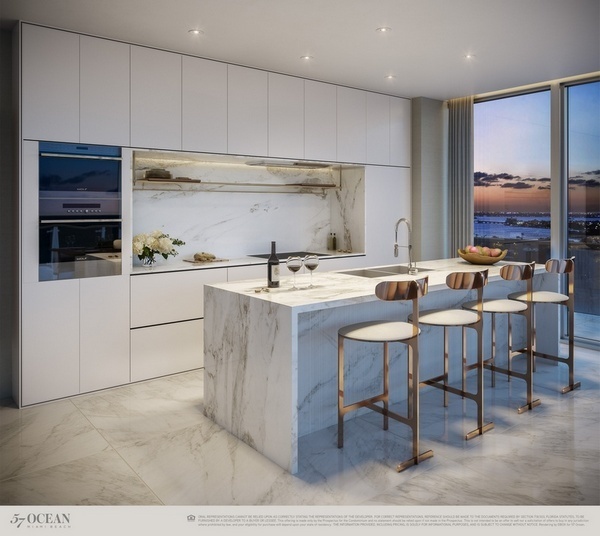 The 57 Ocean Miami Beach condo will be a luxury 18-story condominium designed by the award-winning architecture firm Arquitectonica. 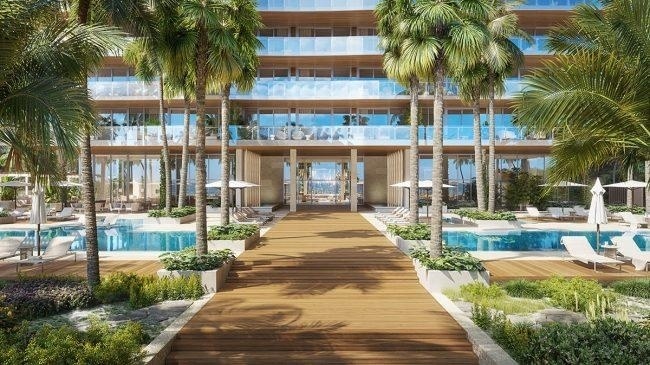 This "boutique-styled" oceanfront condominium will offer only 81 condominium residences in 2-, 3- and 4-bedroom floor plans ranging in sizes from approximately 1,245 sq.ft. to 3,623 sq.ft. under air. Large 12-foot deep balconies and terraces will add additional living and entertaining space to each residence. 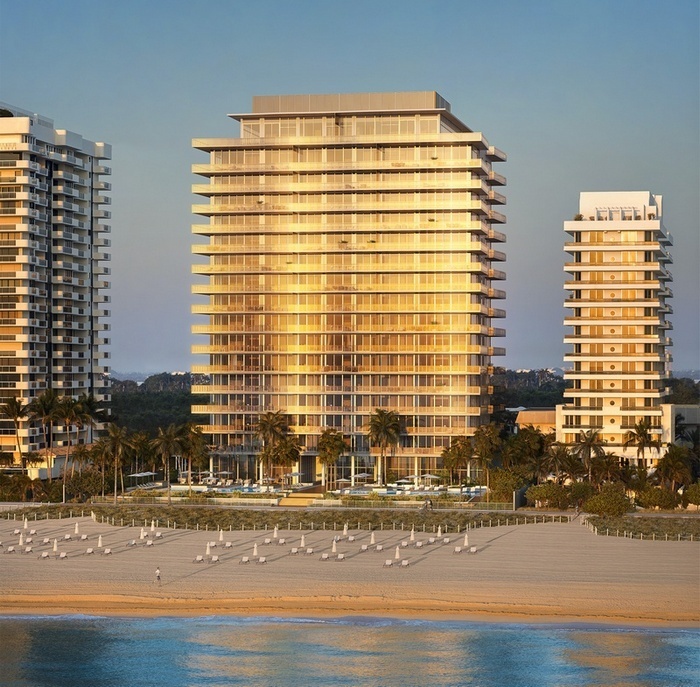 57 Ocean Miami Beach residents have direct access to 250 linear feet of the wide Miami Beach. 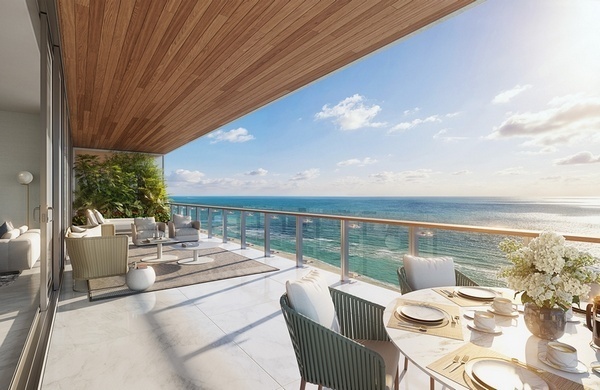 Recently offered preconstruction pricings* were currently ranging from approximately $1.5m to $31m for the largest top floor 57 Ocean Miami Beach penthouse homes. 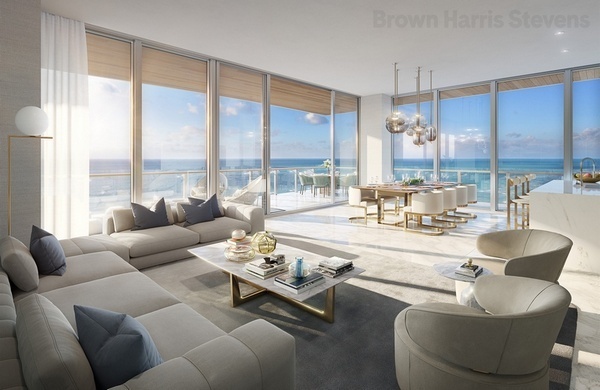 The 57 Ocean Miami condo is centrally located at 5775 Collins Avenue, on Miami Beach’s "Millionaire’s Row". The mid-beach location offers convenient access to South Beach, Bal Harbour, Miami's major sporting and entertainment venues, Miami International Airport, and more. 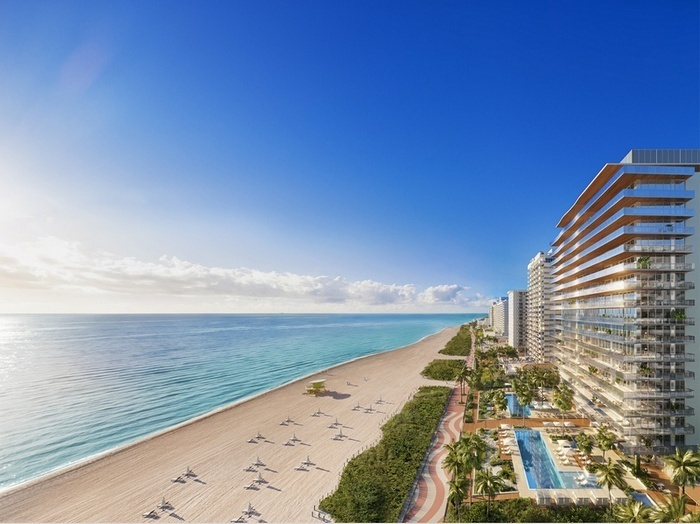 The beautifully designed 18-story oceanfront glass building is sure to establish itself as a one-of-a-kind luxury condominium property among the neighboring properties in this exclusive "mid-beach" area of Miami Beach. Surrounded by lush landscaping, the property will provide privacy and peaceful relaxation throughout. This is a one-of-a-kind residence centered around multi-dimensional wellness, with an unparalleled connection to nature. 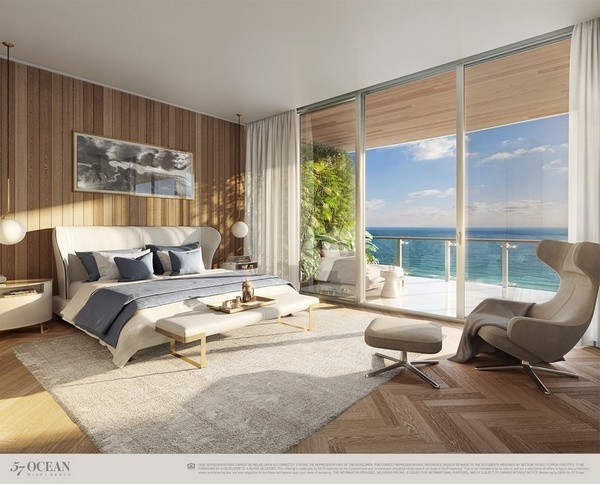 57 Ocean Miami elevates mindful living in Miami Beach.